Land can be a valuable commodity – especially if there is an interest in developing it into housing. the residual method – which involves an assessment of the value of the scheme as completed and deduction of the costs of development (including developer’s profit) to arrive at the underlying land value. In practice, a combination of both approaches will usually be used to reach a land valuation. In addition, as each piece of land has its own unique features and will likely vary greatly in location, size and characteristics, a thorough assessment of the site will be required. This includes identifying the areas of the land that are suitable for development and the size, shape and topographical features of the land. Several other investigations will also be required, for example around the land’s risk of flooding, the existence of any boundary issues and evidence of, or potential for, contamination. Other matters such as the prospects for Planning Approval, and the availability of existing infrastructure will also need to be considered. With many variables to consider, especially with more complex sites, valuing land isn’t a straightforward process. As such, it is essential to instruct a Chartered Surveyor that is well-qualified and has the relevant experience. As well as having a team of RICS Registered Valuers, Lea Hough also has a Partner, David Bailey, who is a Chartered Planning and Development Surveyor who specialises in assisting both land owners and developers. As such, we are particularly well-placed to advise both landowners and developers on land transactions. Lea Hough are able to act on behalf of both landowners wishing to sell land – be it farmland, development land or a redundant brownfield site – and developers wishing to acquire land. When representing a landowner/vendor, we are able to inspect and value the land independently and impartially, with consideration to any development potential. 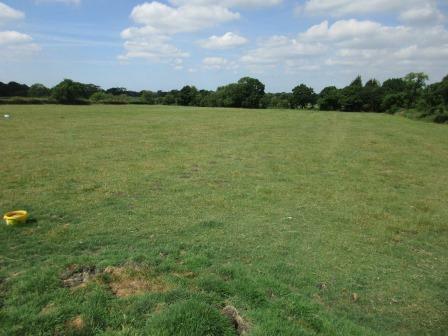 Landowners will rightly want to ascertain the best possible price for their land and if preferred, our team of experts are also able to represent landowners during the negotiation process, using our knowledge of the site ascertained during the valuation process to achieve a fair price and see the deal through to the point of sale. When instructed by a developer/buyer, our team will go about carrying out a thorough investigation of the land. Any land purchase must be commercially viable and alongside preparing a Valuation Report, our team can also represent developers in the negotiation and acquisition stages, to achieve a price that is agreeable to all parties. Our development specialists can also assist developers in securing Planning Permission. Lea Hough has extensive experience of full building design and project management of all types of development and construction projects. For more information about our expertise in the area of land valuation, please get in touch.